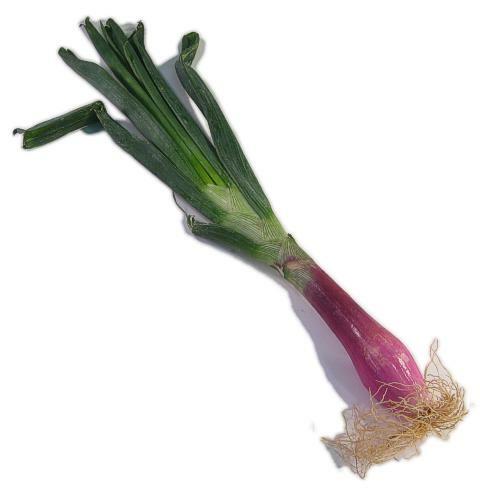 General Information: An Italian heirloom variety, this classic onion forms a bronzy-red football-shaped bulb that resembles a torpedo or spindle. The vegetable is about four to six inches long and often two or three inches in diameter. Availability usually commences in June, depending on the weather. The Torpedo onion or Italian Red Torpedo has a sweet mild flavor that enables it to be prepared and served raw or cooked. This onions color and flavor make it a nice addition to salads. This onion is superb as a pickling agent or caramelized because of its natural sugar content.